Manglik Dosha or Kuj Dosha creates disturbances and tribulation in one’s marital life. Due to this, there are chances of unexpected happenings in family and distress in relationships. 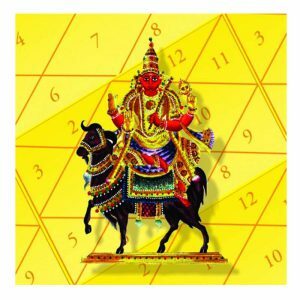 Mangal dosha in one’s birth chart gives birth to several obstacles in life and marriage, such as delay, opposition, hurdles and so on. Vedic Astrology has the answer to all problems along with manglik dosha remedies. But moving on to that point, let’s read what exactly is Kuj Dosha and how it appears in one’s horoscope. How Mangal Dosha aries in one’s Kundali? If Mars is posited from Lagna to first, fourth, seventh, and eighth house in the horoscope, Kuj Dosha or Mangal Dosha is said to emerged. Similarly is the case when posited from Moon in similar houses. If a native’s horoscope perceives Manglik Dosha from both Lagna and Moon, s/he is fully said to have incurred Manglik Dosha. On the contrary, if any one of the creates such situation, the event is known as Anshik Mangal Dosha. 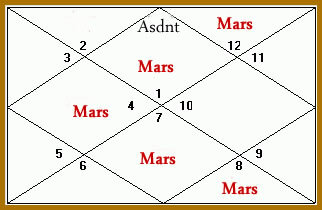 During this period, if Mars gets blessed from an auspicious panet, then cruel effects of Kuj Dosha gets weakened. 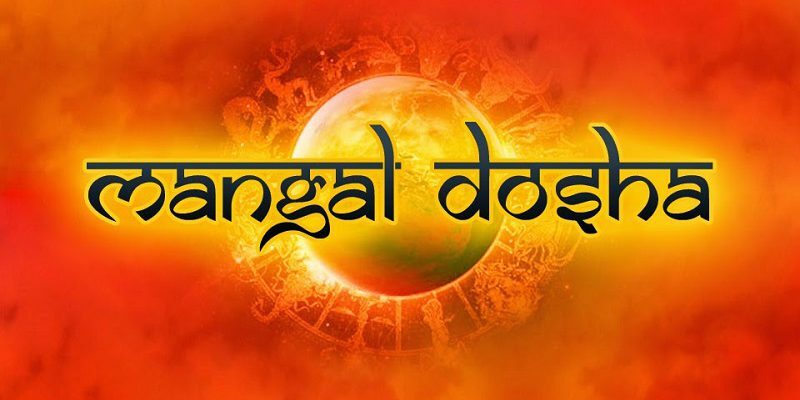 Mangal Dosha is related to marital life and creates obstacles in one’s life such as delay in marriage etc. It is believed that a Manglik person cannot tolerate their spouse for a long time. The reason behind this is that Mars likes to stay alone and thus if any other planet comes near it, there seems a lack of synergy between them. At the same time, seventh house in in astrology reflects married life and having Mars posited in this house seems inauspicious. Here, the presence of Mars becomes the major cause of confrontation, stress, quarrels, divorce etc. between husband and wife. According to astrology, people suffering from mangal dosha should take measures to pacify Mars planet. Manglik natives should read Mangal Chandika Stotra every Tuesday and recite Sunderkand on Saturday. Mangal dosha can be removed by worshiping Mangal Yantra. On Tuesday, Manglik men should offer vermilion to Lord Hanuman to reduce the brutal effects of Mars. Apart from this, you can also consult an esteemed astrologer to know more about this event and how to cure this. Worship Goddess Mangla Gauri to get rid of Mangal Dosha. Also, worship Lord Kartikeya to lessen the fatal effects. Carry out Gauri Pujan of Manglik girls and chant ninth shlok in 18th verse of Shrimad Bhagwat Geeta. If girl is Manglik, get her married to the idol of Shri Vishnu as per rituals. Similarly, if a boy is Manglik, carry out Tulsi Vivah before marriage. Keep jaggery in wheat dough and feed it to cow. Prepare sweetened roti with wheat and jaggery and feed it to dogs and monkeys. Give away batashe and jaggery rewari in flowing streams of water. Manglik native must marry another manglik only, as it lessens the malefic effects of Mangal Dosha. We hope that you have found the exact information on Manglik dosha and topics related to it and found right answers. If you still have any curiosity about Mangal dosha, then you can contact us and we will surely resolve your query.